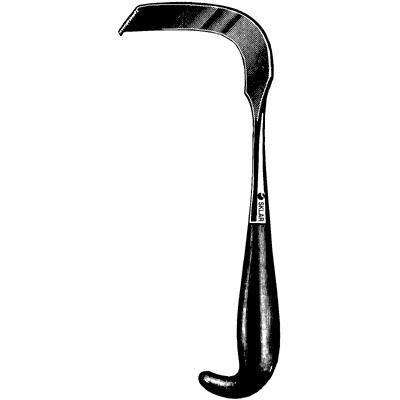 This retractor is available with a variety of blade widths and tip styles. The blade is typically at a right angle, but may also be strongly curved. It may have a smooth tip, a saw-toothed tip, or pronged tip. It features a single finger ring at the opposite end of the tip and a smooth, flat section between the finger ring and tip to provide many handling options.